The Thursday evening 5-6pm “Introduction to athletics” session for 7-9 yr olds is currently full and a waiting list is in operation. If you would like to add your child’s name to the waiting list please email us at rscac@hotmail.co.uk. If you are already on the list we hope to be able to invite your child to future sessions in May and June as spaces free up. Thanks for your patience! 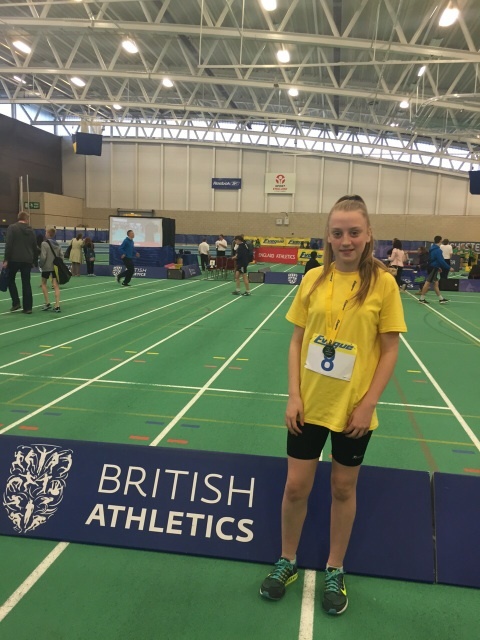 Well done to Elley Criddle who came second in the 4 X 1 lap relay when she represented Birmingham at the sportshall final on Saturday. The team finished third overall. Well done Elley. Our senior athletics team travelled to Banbury on Saturday for the first match of the season. Despite having a greatly depleted team there were some fantastic individual performances. Highlights included a new club record for Chrissie Prince in the hammer, a first ever race victory and massive PB for Tom Chew in the 2000m steeplechase, victories for Fred Tremblay in the 800m A race and 1500m B race, and maximum points in the discus where Kevin Brown and Connor Notley won the A and B events (both with age group club records). In the sprints Nicholas Pryce was 2nd in 200m and 3rd in the 100m, whilst Kane Howitt was 1st in the 100m B race and Ethan Brough was 3rd in the 200m on his senior debut. 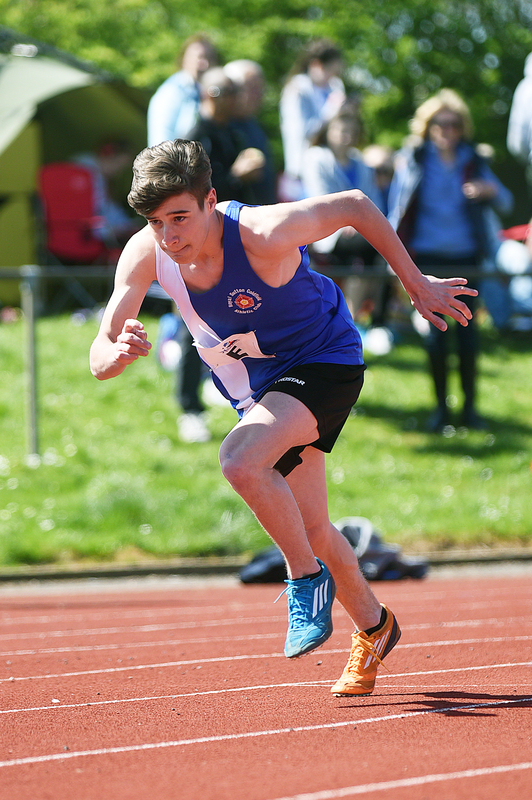 Luke Cato was having a strong run in the 400m before injuring his hamstring – we hope you’re injury is not too bad Luke! Overall it was a good day for our men in the middle distance events. 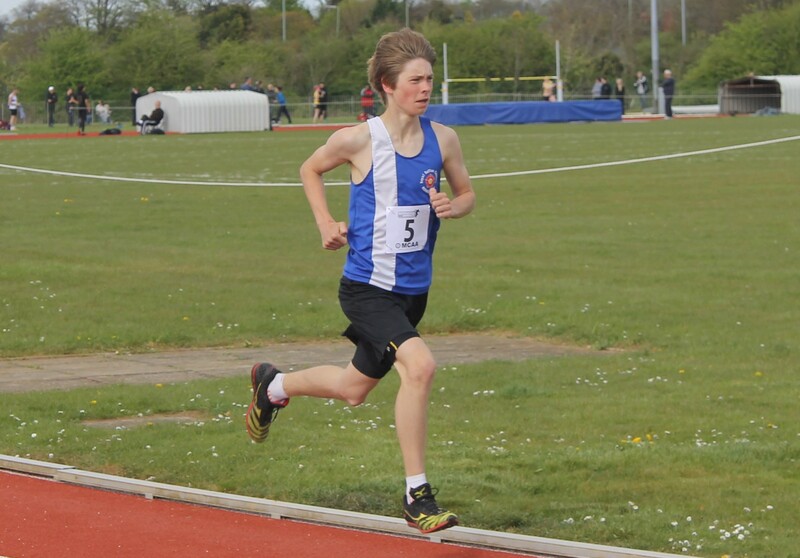 Shaun Evans ran superbly to finish 2nd in the 1500m A race on his first race for the senior team, whilst Nick Corker won the B race in the 2000m steeplechase. 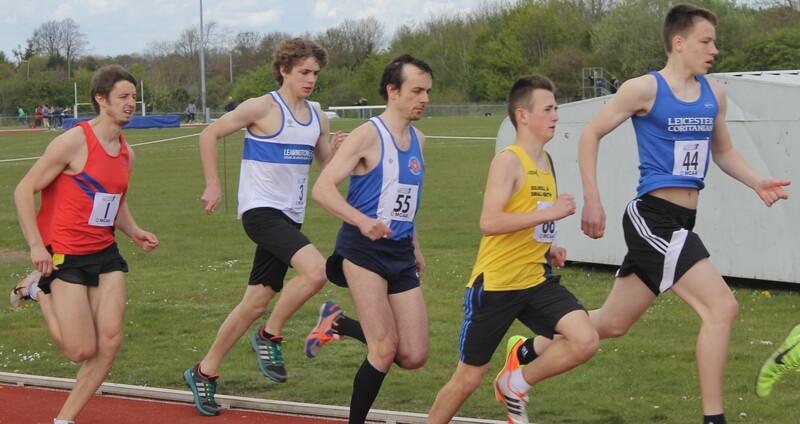 Paul Thompson and Rob Andrew won some more important points in the 5000m. Andrea Deathridge was are only women’s runner in the distance events, competing in the 400m hurdles, 800m, 1500m and 3000m!!! 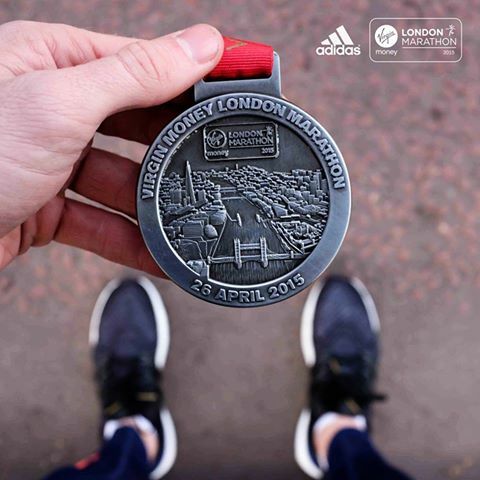 Her best performance was in the 3000m where she finished second, whilst her time in the 400m hurdles was a new age group club record. 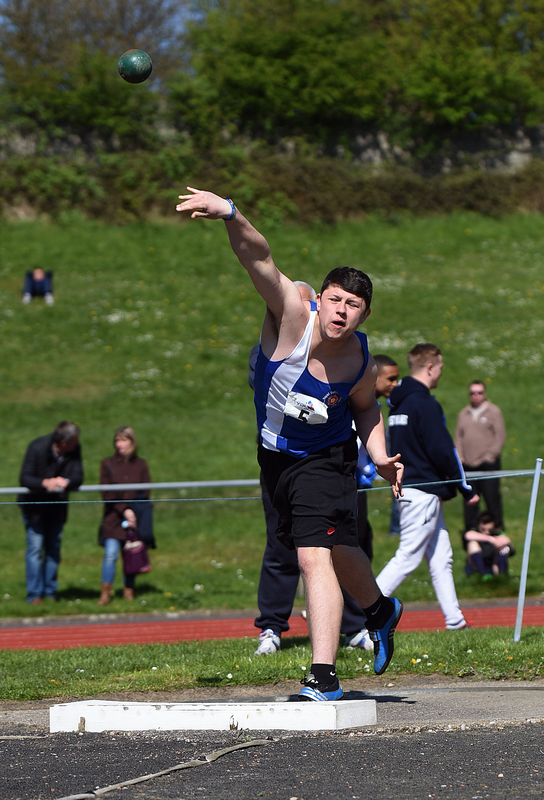 We won lots of points in the men’s throws with Kevin Brown, Connor Notley and Liam Goodall all in great form. Liam Goodall had great senior debut in the hammer with a second place in the B event. Similarly, our women throwers competed superbly. Chrissie Prince was 2nd in the discus and hammer A events. Madeleine Stearn was 4th in A javelin, Fiona Smith finished 1st in the hammer B event whilst Lorna Foster was second in the B shot putt. A big thank you to all our officials who braved the cold. As always your support is greatly appreciated! Overall, based on the provisional results we finished 6th on the day. The next match is on Saturday 6 June in Corby. Please put the date in your diary and make sure you’re available for this important match. 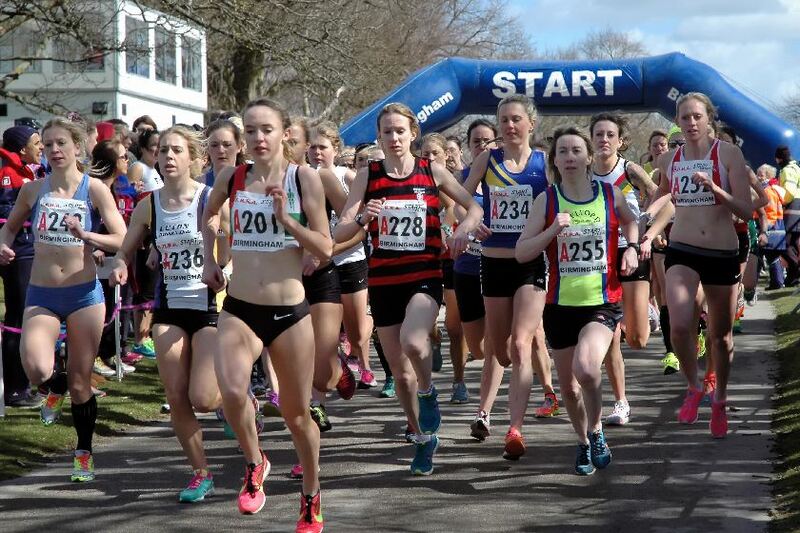 It’s a busy few weeks coming up for our athletics teams with all age groups kicking off their seasons. The forthcoming fixtures are shown below and a full list is available on the Fixtures page. Please speak to your coach if you’re interested in competing. Good luck everyone!! !